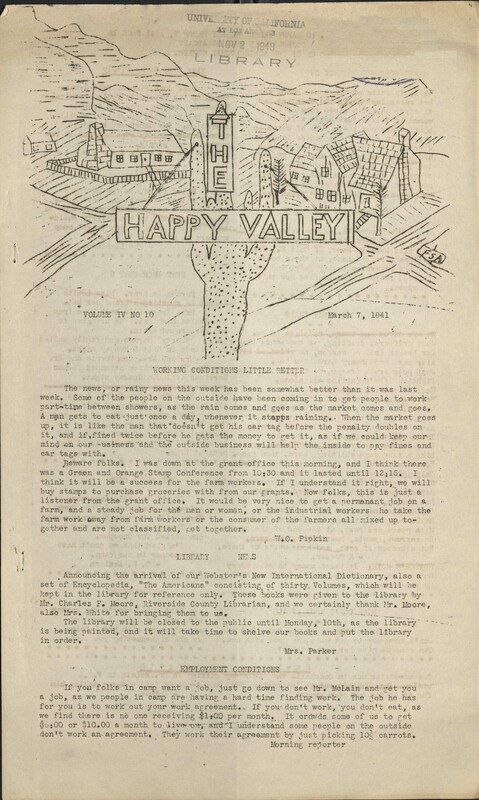 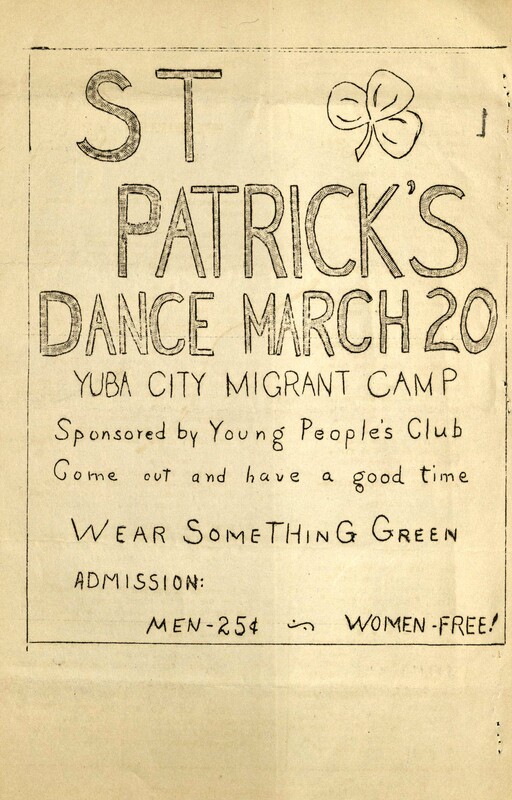 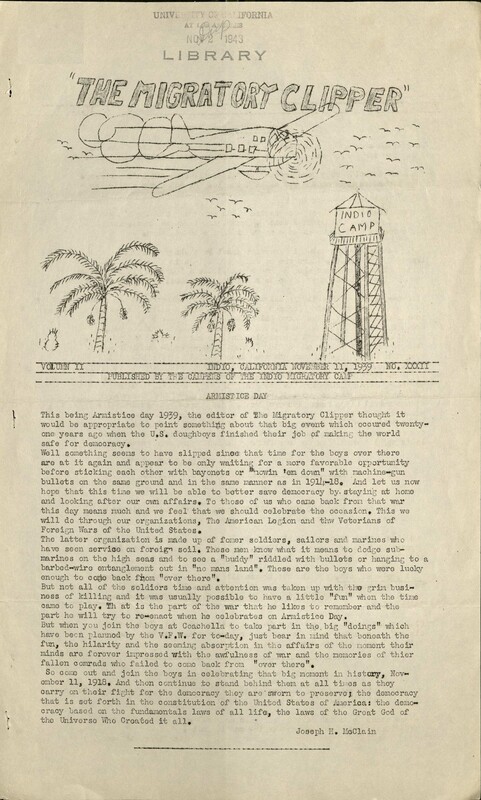 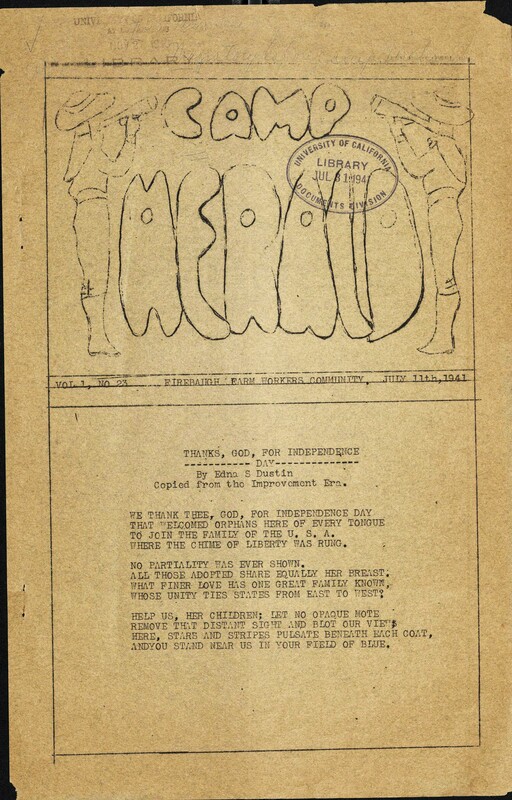 The Migratory Labor Camp Newsletters Collection consists of newsletters produced by migrant workers in labor camps established by the Resettlement Administration and the Farm Security Administration in California and Washington during the 1930s and early 1940s. 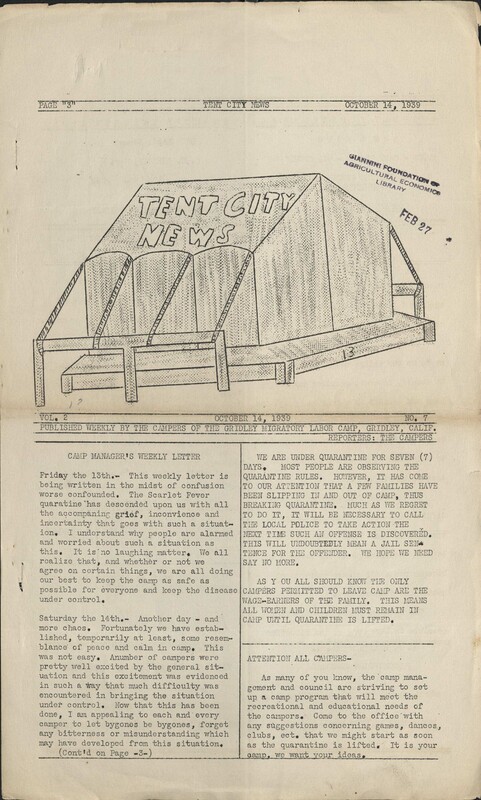 These newsletters document everyday life in seasonal labor camps built for migrant farm laborers in the western United States, including those who migrated west in the wake of the Dust Bowl seeking employment during the Great Depression. 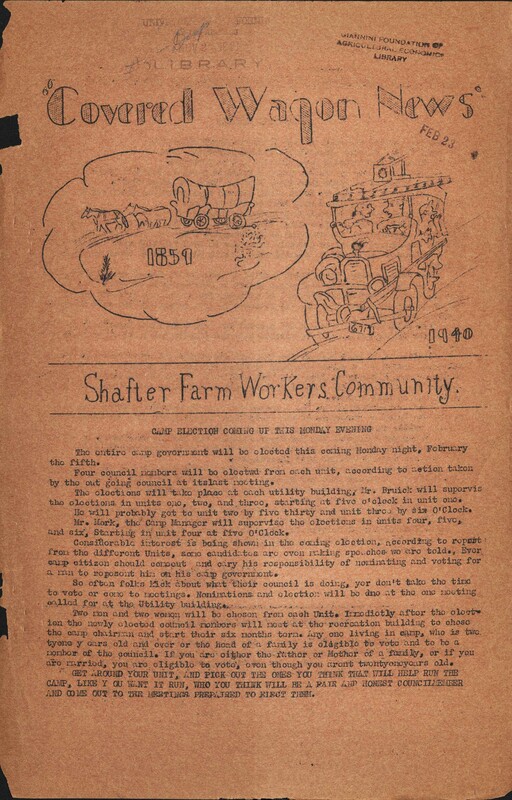 The newsletters were generally produced by those living in the camps, and include content of interest to camp inhabitants. 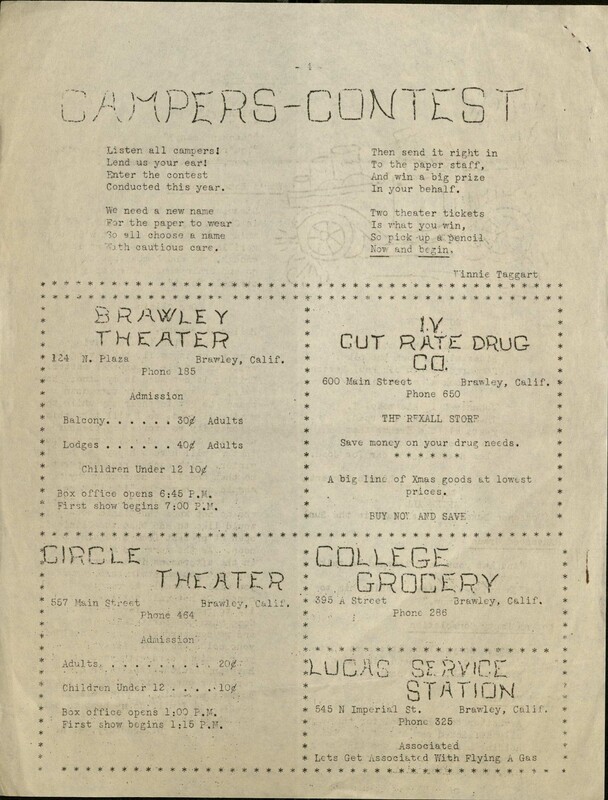 Articles are about a wide range of topics, and might include those authored by camp management, or Union officers. 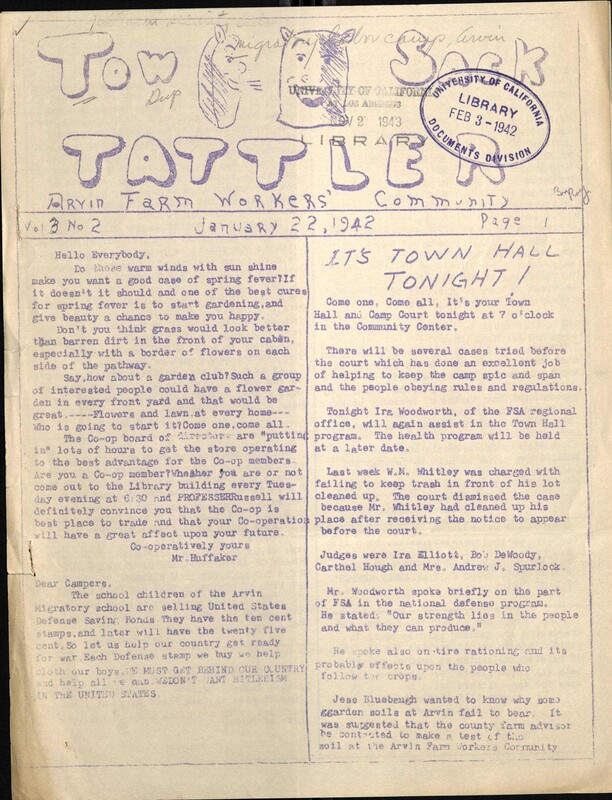 Some residents contributed editorial articles, library news and hours, available medical services, updates about the local schools, and the weather's impact on working conditions. 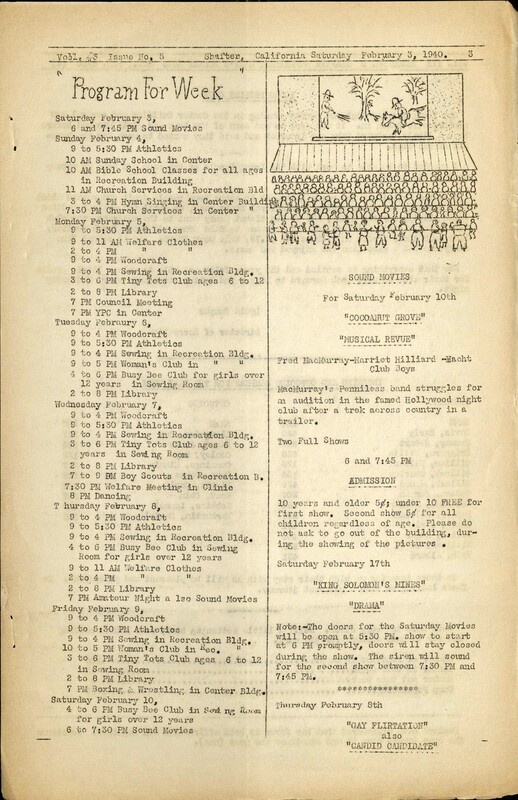 Newsletters often included special event schedules for dances, traveling carnivals, community council meetings, church services, and film showings, as well as recreational activities and classes organized by camp residents, such as bicycle races, basketball games, boxing matches, shorthand classes, steel guitar playing group, or a tap dancing club. 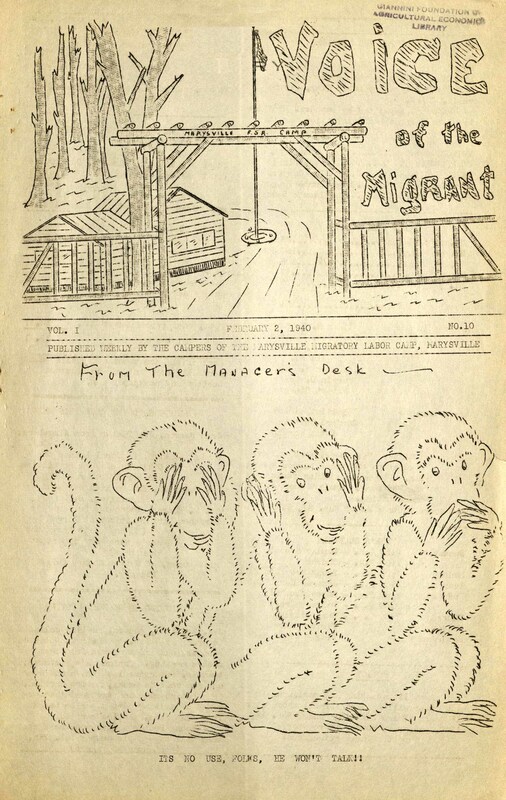 Some newsletters include gossip columns focused on the personal lives of camp inhabitants, or quick updates about families and individuals who had recently arrived in or departed from camp. 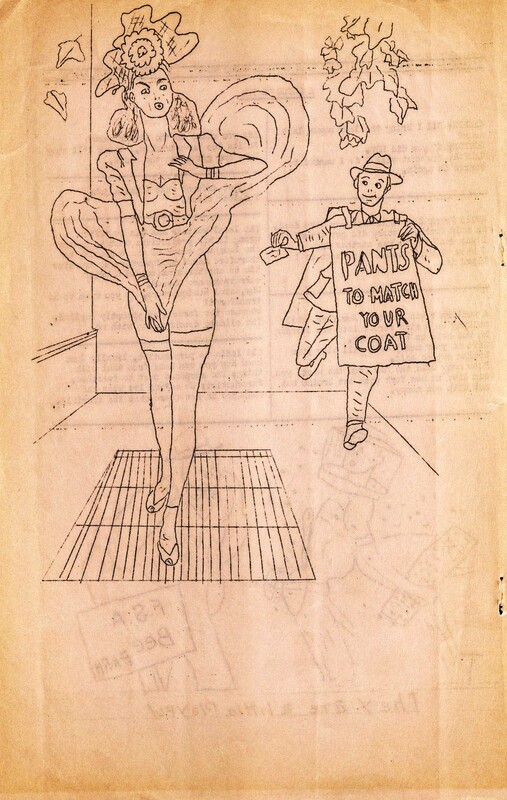 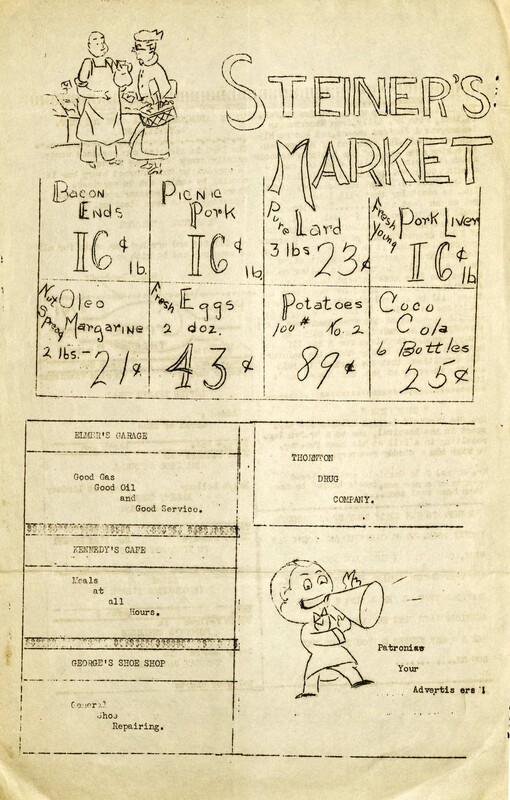 Businesses that operated in the camps, including grocery stands, markets, and mechanics would advertise in the newsletters, and camp inhabitants would also contribute comics, humorous drawings, recipes, poems, and short stories for the entertainment of their fellow camp residents.